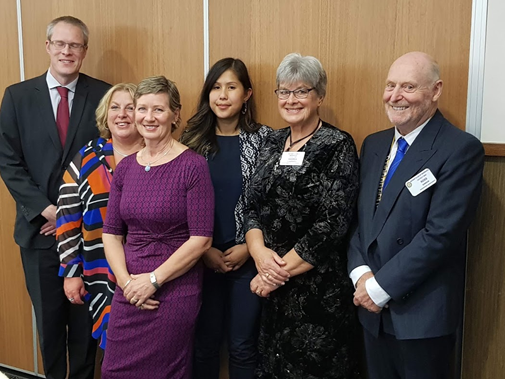 One hundred Warragul business people, Rotarians and partners attended the club’s annual business and fund raising dinner to hear Allan Klindworth and Victoria Chantra from AECOM talk about business resilience when confronting natural disasters. Drawing on their experience ranging from Hurricane Katrina in New Orleans to devastating bushfires in Tasmania they outlined the impact of natural disasters on small businesses and how businesses, communities and government can be better prepared for potential future disasters. 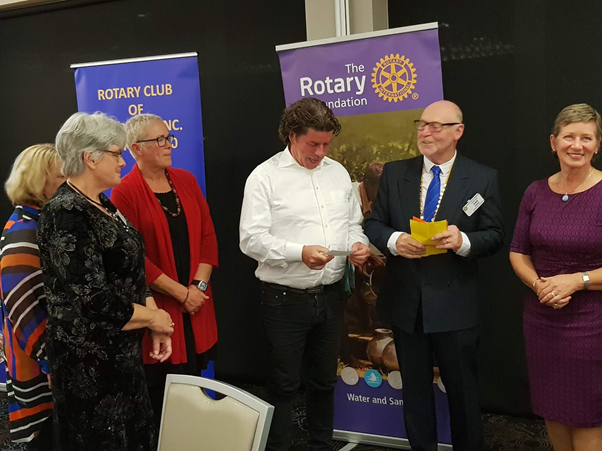 Following the informative talks Warragul Rotary president Ross Dawson presented a cheque to Shaun Dignum the Chair of the Neerim District Soldiers Memorial Hospital. The money will contribute to the cost of installing new energy efficient heating equipment that reduces costs and environmental impacts.